By hungry runner on February 26th, 2012 . Filed under: Birthday Ideas . I have always been a fan of themed parties. 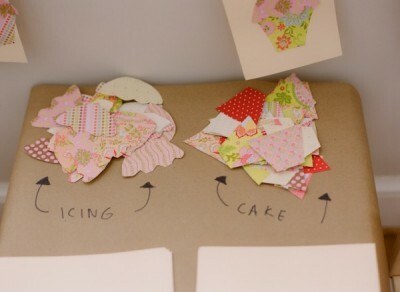 I think it makes for easier party planning and I like it when things are coordinated! The Sweetest Occasion blogged about Amory a four year old’s cupcake themed birthday party. The whole party is dedicated to cupcake decorating, both real cupcakes with frosting and sprinkles and paper craft cupcakes. 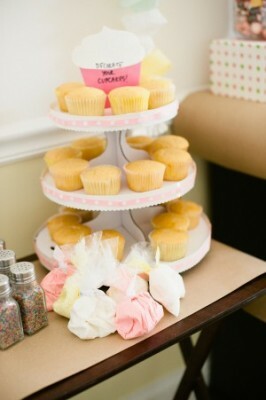 Even the party favors were cupcake props! The pictures of the party make it look like a fun birthday for any age! I had a PHANTOM OF THE OPERA-themed 9th bday party this year (took my BFFs to see the show) with cupcakes custom designed by Georgetown Cupcake. Here is a link to pics on my site: http://carriescupcakecritique.shutterfly.com/sweetpics/984.